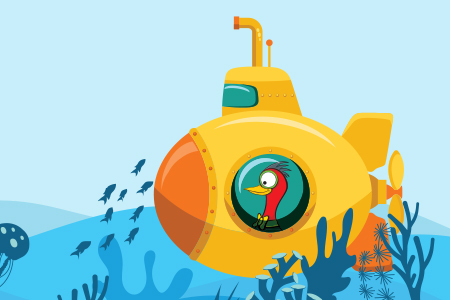 Picture this, an undersea garden full of brightly coloured coral, fish and plant life. No, not on the Great Barrier Reef, it’s a re-imagined reef made from recycled materials – all on dry land! Join artists Marcia Bird and Pam Kusabs from Saltwater Creek Basketry Group and learn simple and fun ways to weave ocean life using a wide arrange of discarded plastic materials. Come to the Re-imagined recycled reef and help grow this glorious undersea garden. The Re-imagined Recycled Reef Installation was developed throughout 2018 at the monthly Kid’s Tank. Participants worked to create the beginnings of a re-imagined recycled reef, one fish, piece of coral, jelly fish, and anemone at a time. After the Cairns Children’s Festival you can view the installation at the Cairns Botanic Gardens Visitor Centre. Join the educators from Family Day Care and explore the reef through touch, play and craft in these activities designed especially for children under 5. Join the ARC Roving Troupe in these high energy races. Run, make decisions, work as a team and test how much you really know about recycling. Cairns Libraries will be setting up a super fun Pop Up Library featuring a range of ocean themed books and activities.